Continuing the unique tradition of rewarding its RSPO-certified smallholder partners, Asian Agri recently shared with them profits from the sale of certified sustainable palm oil. 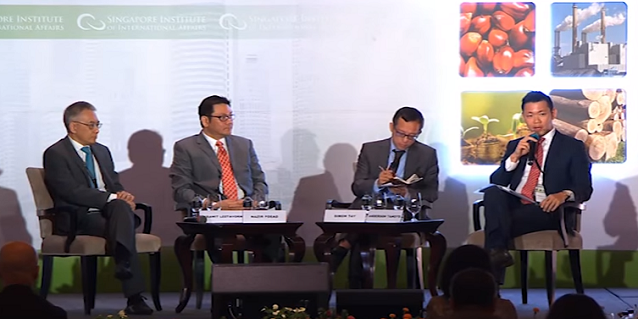 Since 2014, the Asian Agri premium sharing event has been a regular affair. 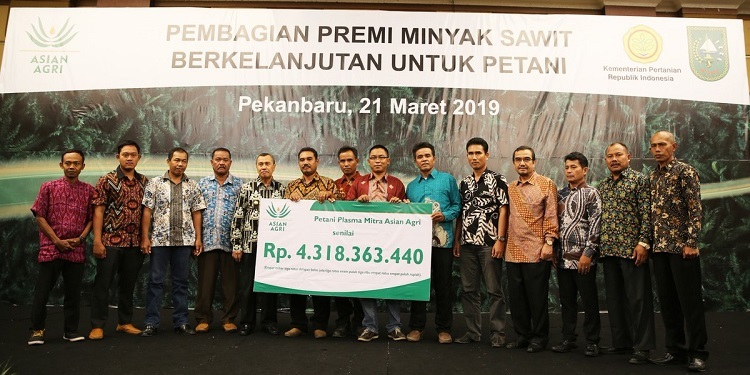 Held at Hotel Pangeran, Riau, the 21 March 2019 event reaffirms the company’s commitment as a preferred partner of palm oil smallholders, distributing IDR 4.3 Billion (over USD 300,000) from 2017 sales to representatives from 72 palm oil smallholder cooperatives from Riau and Jambi. The cooperatives represent a combined total of 30,000 smallholders. Guest-of-honour Riau Governor H. Syamsuar expressed gratitude to the company for this initiative, saying, “The Riau Provincial Government would like to thank Asian Agri for empowering farmers in implementing sustainable palm oil management practices, contributing to the their longer-term welfare.” Adding on, he shared hope that the partnership between the company and smallholders will continue to serve as an example to inspire the palm oil industry to remain competitive and sustainability-focused. Semangat Pagi Negeri Lancang Kuning! Sustainability pays. 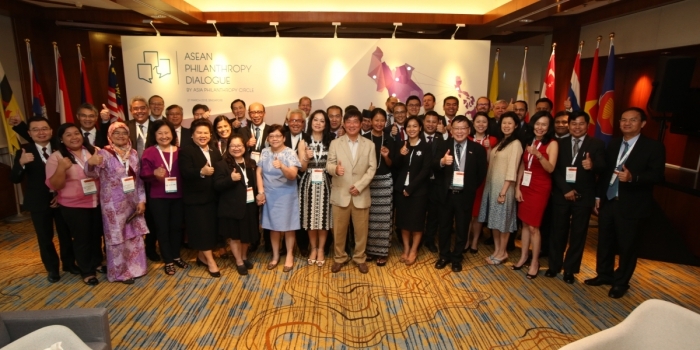 Follow Asian Agri on Twitter, Facbeook and LinkedIn for the latest updates! Director of Corporate Affairs at Asian Agri, Fadhil Hasan, explained during the event that the sharing of profits with smallholders served a common purpose in responsible and sustainable management of oil palm plantations. It serves as a reward for partnered smallholders’ observing the best plantation management practices, and recognises and encourages efforts in maintaining certification. 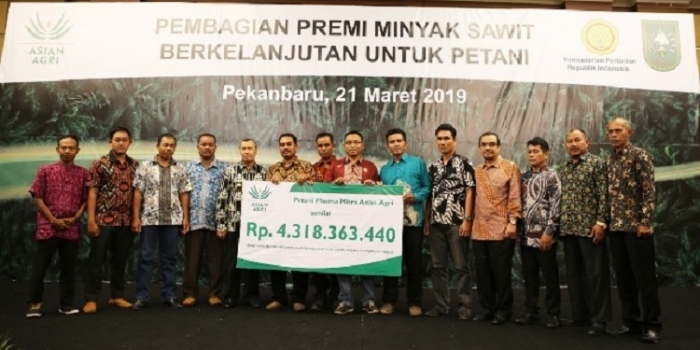 The share of profits from the premium sharing will be used for a variety of community development and renewal projects as well as reinjected into sustainable palm oil plantation management. Previous premium sharing events were held early 2016, late 2016, and 2018. The contributions of smallholders to sustainable palm oil production have gone a long way in establishing Asian Agri as an industry leader and also supporting the nation’s drive towards sustainable palm oil. 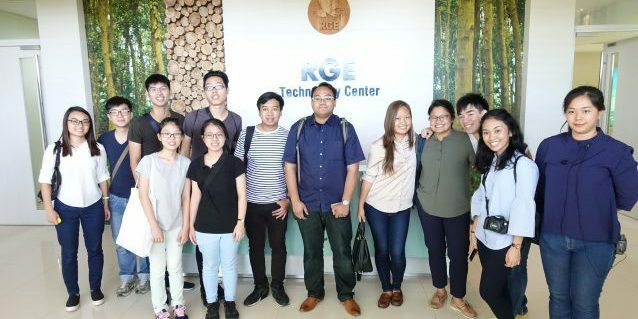 The Indonesian Sustainable Palm Oil (ISPO) programme is a policy led by the Ministry of Agriculture, aimed at improving the global competitiveness of Indonesian palm oil, while reducing greenhouse gas emissions and safeguarding the environment. The palm oil producer continues to reach new heights through the alignment of standards with national and international certification bodies, as well as the continuous collaboration with smallholders. Having just only surpassed its 1-to-1 smallholder commitment goal, which aimed to match owned plantation hectarage with that of its combined partnered smallholders, Asian Agri now sets its sights of partnering more smallholders, raising agronomic standards and creating shared value for all. More: Read Asian Agri’s news release on the 21 March Premium Sharing.